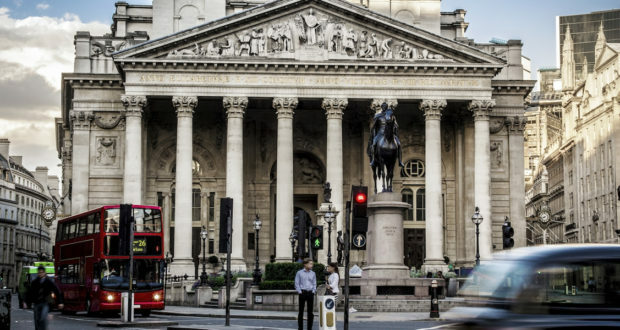 The Bank of England raised its baseline interest rate to 0.5 percent on Thursday and that was the first time since 2007 that the BOE has made a rate hike. Normally when a country’s central bank raises interest rates, the currency of the country climbs against other currencies, but that wasn’t the case with the Pound. When interest rates are rising in a country, the assets denominated in that currency become more valuable and thus the currency itself normally rises. Because the rate hike from the BOE was later than other central banks and because there is little to suggest that another hike is on the horizon, the hike wasn’t taken as a sign of a more hawkish stance. On Bloomberg they were calling it a “dovish” rate hike. In Thursday’s Forex trading, the Pound fell 1.5 percent against the Dollar and against the Yen. 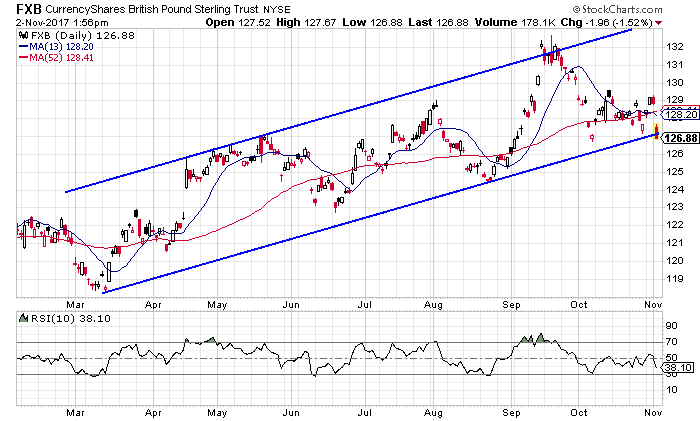 Looking at the chart for the CurrencyShares British Pound Sterling Trust (NYSE: FXB), we see that the drop has caused the fund to drop below the lower rail of a trend channel that has dictated trade since the middle of March. The Pound has also been scrutinized more closely than other currencies due to the Brexit plans and the ongoing negotiations for the conditions of Britain exiting the European Union. The negotiations have proven to be complicated and there is another round set to occur next week. Given the tone of Mr. Carney’s statements, it is understandable as to why the Pound fell against other currencies. An action that normally induces confidence in currencies was weakened by the statements of the head of the central bank.